Detroit – On Thursday, Chevrolet announced it will be developing and testing a hydrogen fuel cell version of its mid-size Colorado pickup for the United States Army. 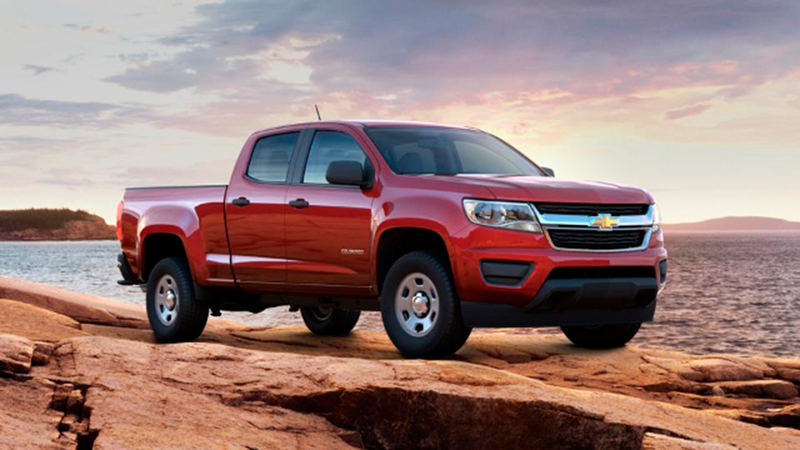 The car company said the modified Colorado would put its fuel cell technology to test. The experimental pickup will be put through 12 months of daily use and potential abuse at the Tank Automotive Research Development & Engineering, or TARDEC, facility in Warren, Michigan. For years, automotive experts have been developing hydrogen fuel cell technology. Car companies are building and selling fuel cell cars and at the same time Hydrogen fuel providers are building filling stations, but the technology isn’t completely here yet. Different companies have put their own cars powered by a hydrogen fuel cell powertrain on the road. Toyota released its new Mirai hydro-car and the Hyundai Tucson has been out for more than a year. Other companies like Honda, Ford and Nissan have announced their fuel cell vehicles will be coming soon. Hydrogen fuel cells work by mixing fresh air and compressed hydrogen gas to create electricity, which charges batteries that power electric motors to propel the vehicle. The only byproduct this technology produce is clean water. The Tank Automotive Research Development & Engineering director Paul Rogers said that hydrogen fuel cells technology could bring “extraordinary” possible capabilities to military vehicles. “TARDEC is planning a suite of tests for the vehicle, including automotive performance, off-road mobility, acoustic and military utility tests,” Al Grein, TARDEC Associate Director, said. Vehicles that run by fuel cells are very quiet and the fact that they generate water as a byproduct is a very positive feature about this kind of technology, and it would be very handy in harsh environments such as the desert, all very positive advantages for military use. TARDEC director Paul Rogers said that their engineers and scientists are excited about the potential capabilities hydrogen fuel-cell vehicles the Warfighter can benefit from. Since 2013, Chevrolet has also been working with Japan’s Honda. Both companies are working to develop the future generation of fuel cell and hydrogen storage systems. This new generation is hoping to be commercialized by 2020.